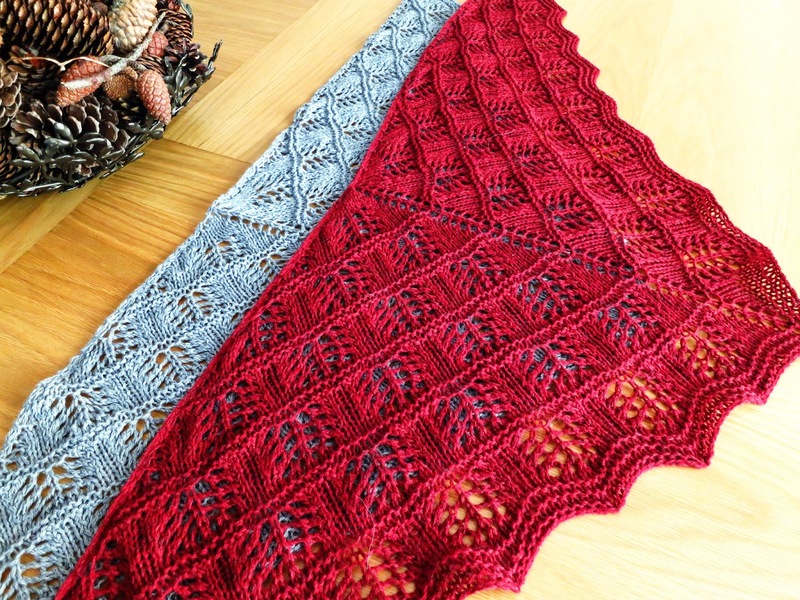 These are the two shawls I knit in December for Christmas gifts. 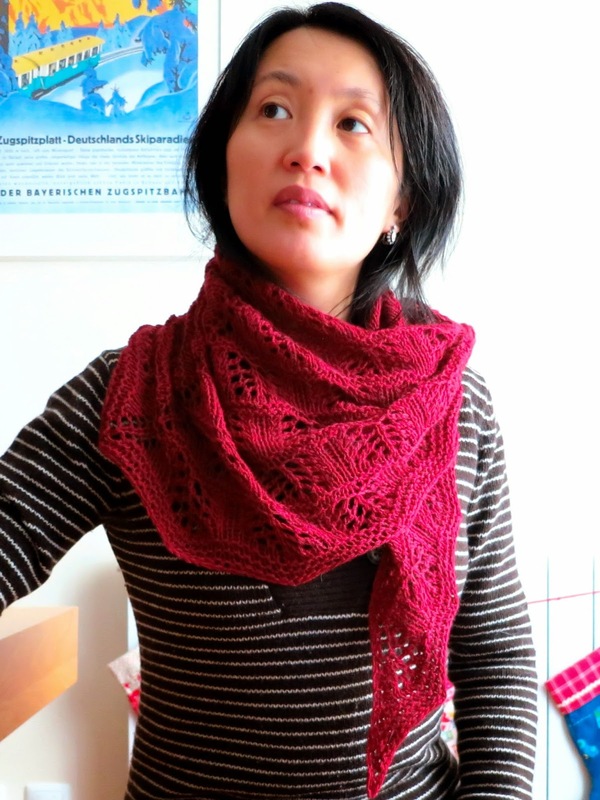 It was a last minute decision, so I searched exhaustively for a an appealing pattern that would be quick to knit. This one caught my eye because it's so pretty but the pattern is deceptively simple and easy to memorize. It took me less than a week to knit each of them (4 or 5 evenings actually, about 8 to 10 hours in total) and I couldn't be happier with the final result. The grey was knit in Holst Garn Coast and the red in Holst Garn Noble, both with the yarn held double. The Noble is much softer than the Coast though. It's also the same yarn I used here - I've been using that shawl a lot this winter and the yarn has held up remarkably well.